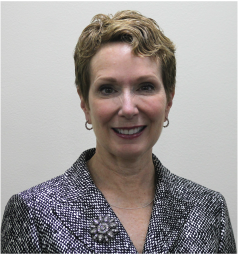 Gloria Dollinger of Joliet was elected to the Will County Board in 2016 to represent the residents of District 10. She has lived in Will County for more than 30 years. Dollinger graduated from the University of Illinois at Champaign/Urbana with a degree in Health and Safety Studies and from the University of Illinois at Chicago in Nutrition and Medical Dietetics. She is a Registered Dietitian, certified in Obesity and Adult Weight Management. Currently she is the Nutrition Supervisor at the Joliet Park District’s Inwood Athletic Club. There, she oversees nutrition programming, coaches individuals and groups on healthy eating, and as a NASM Certified personal trainer, she instructs individuals and small groups in private training sessions. Big Brothers Big Sisters mentor 2.0; the St. Paul the Apostle Parish as Eucharist Minister and Minister to the homebound; the Joliet Junior Women’s Club; and Encore, as a current member and past president.